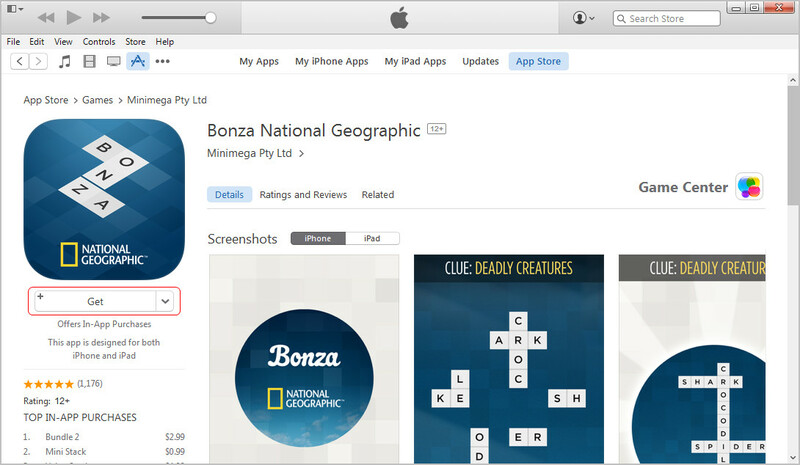 iTunes, a powerful and all-in-one solution for iPhone, iPad and iPod users, is known to us all. However, this application is still troublesome and annoying when we start to use it, because we always come up with all kinds of problems. While listening to music, watching movies and so on, we are just confused about the sync of iTunes, or the data loss after transferring files from iTunes to the iOS devices. That’s annoying. 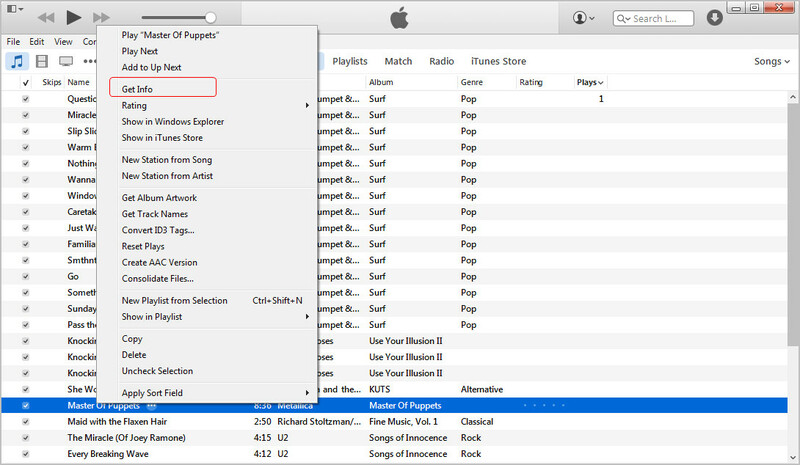 The following post is going to introduce several helpful and commonly used iTunes tips and tricks to all users. 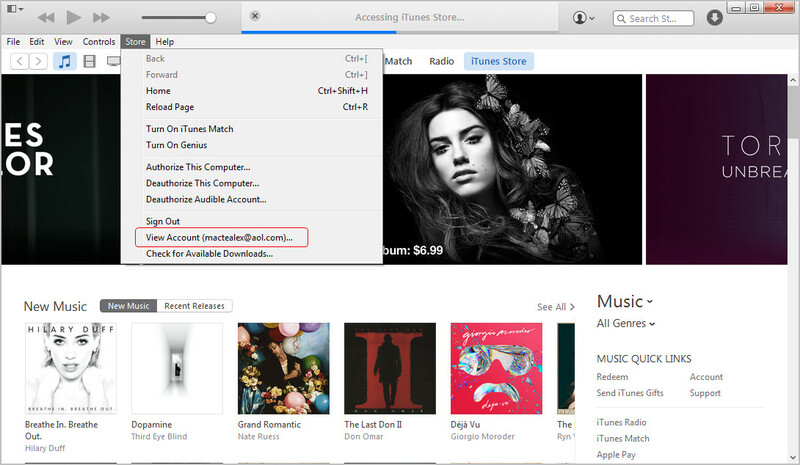 iTunes Store enables users to purchase albums or songs with one click. These songs, or most of them, needs to be paid. 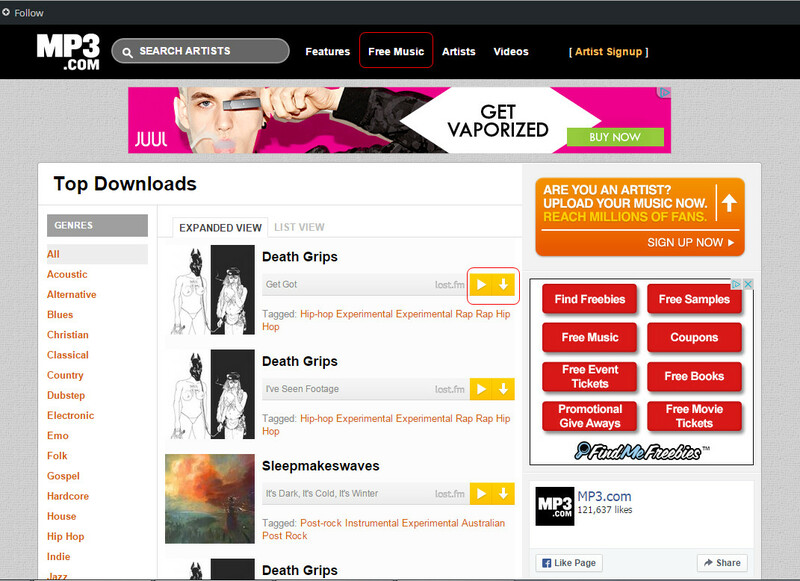 Therefore, people will want to find the free music sites to download free music to their computer and add them to iTunes library. 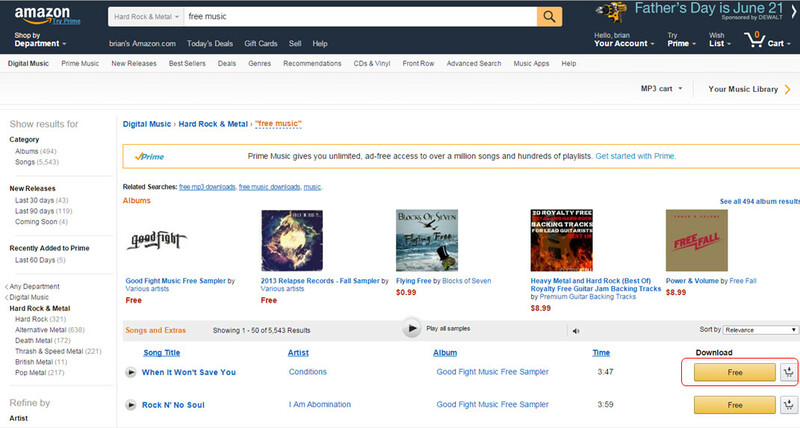 In fact, there are several legal and free music download sites for music fans, and the following will introduce them to all. 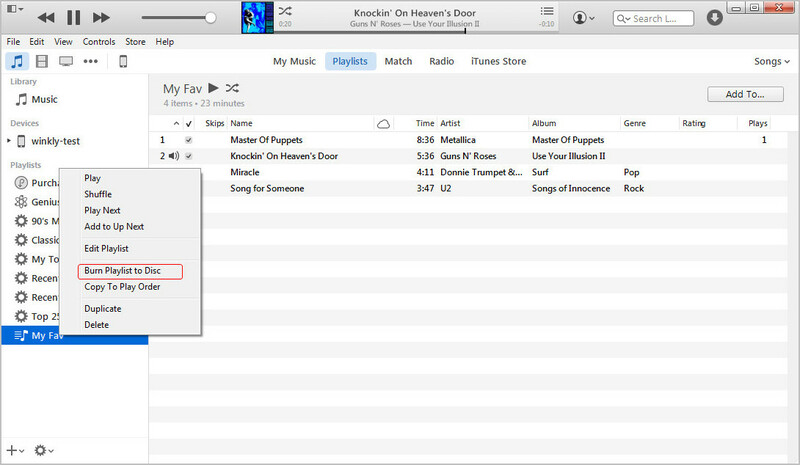 After downloading music from the web to computer, people can add these songs to iTunes library, and they only need to launch iTunes and hit Add Files to Library at the upper left corner. When it comes to transferring music to iPhone without iTunes, people will need the help of third-party iPhone transfer software. The following guidance will show you how to do that. Launch Leawo iTransfer and connect iPhone to computer with USB cable. Click the Add Files Button to add music. 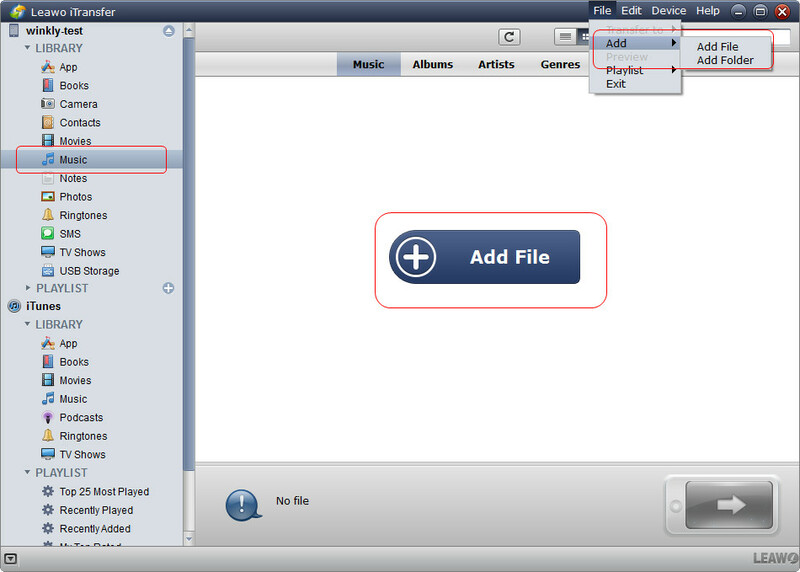 Or click File > Add > Add Files/Add Folder; or drag and drop music files into the software. 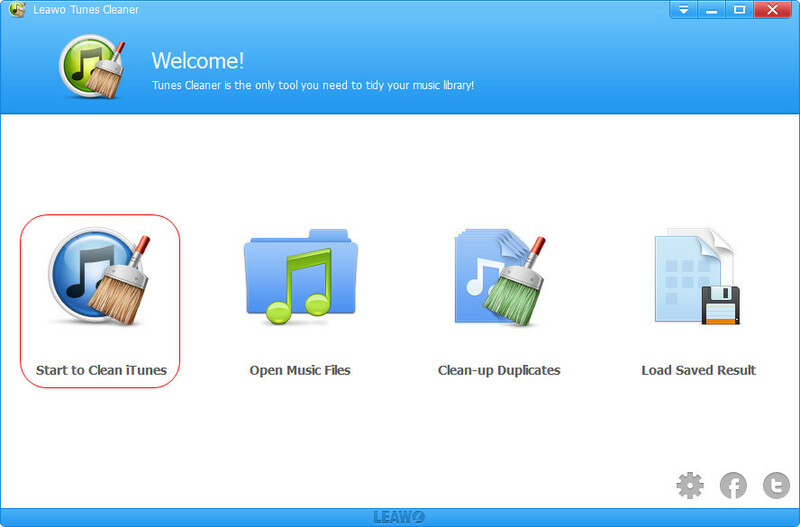 Leawo iTransfer starts transferring music to iPhone immediately. 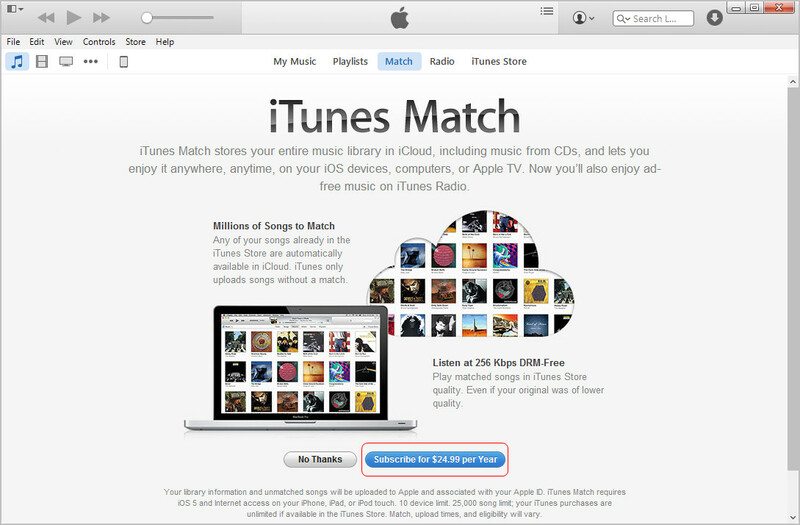 iTunes Match, a cloud-based music streaming service, enables users to enjoy their iTunes music on their device without download. People can subscribe to the service with $24.99 per year, and the service will upload the songs from iTunes library to the cloud, and allows users to listen to the songs on which the devices have turned on iTunes Match. 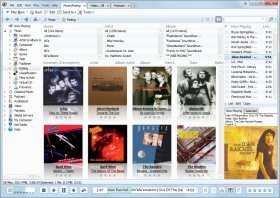 Fixing music tags in iTunes library is an easy task when people want to find the right album artwork for the song, they only need to right-click the song and choose Get Album Artwork, and choose Get Album Artwork in the pop-up dialog. 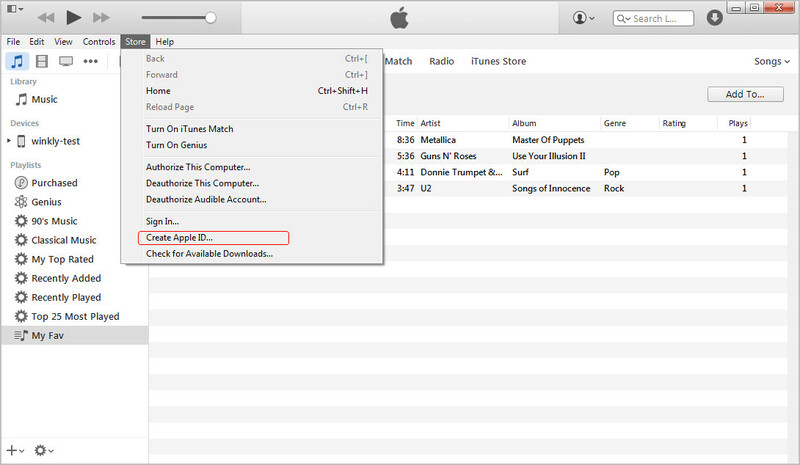 Then iTunes will send the song with the missing information to Apple. 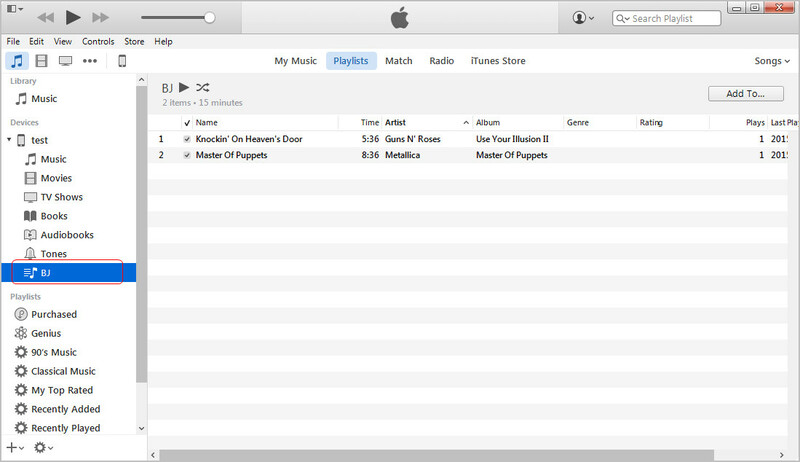 Of course, there is another way to fix music tags in iTunes without sending information to Apple. 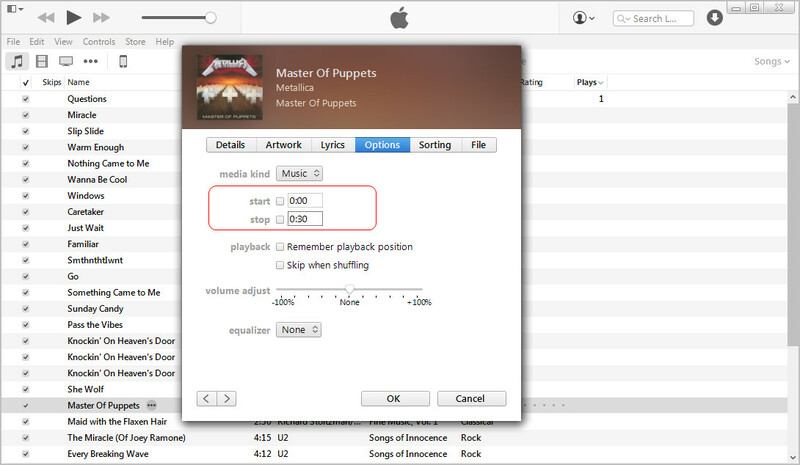 You only need a third-party iTunes music tagging program to help. 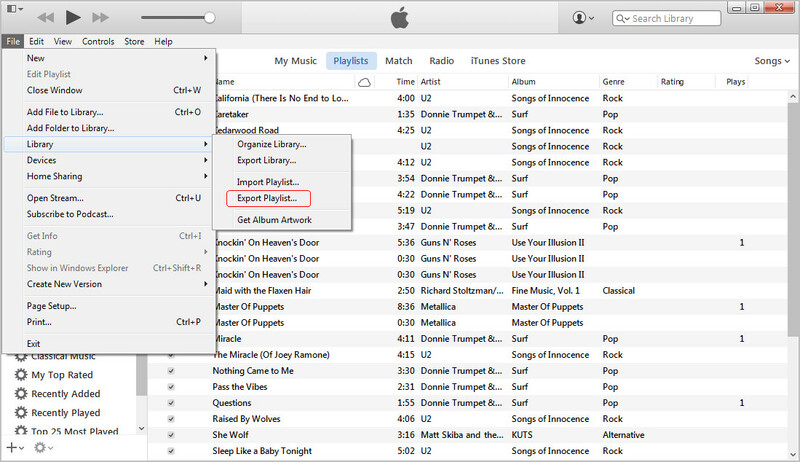 The following guidance will introduce how to fix music tags in iTunes in detail. Most people watch online videos on YouTube, and want to download the videos they love to their computer. However, YouTube doesn’t provide such downloading service, so the users need to find other ways to finish the task. 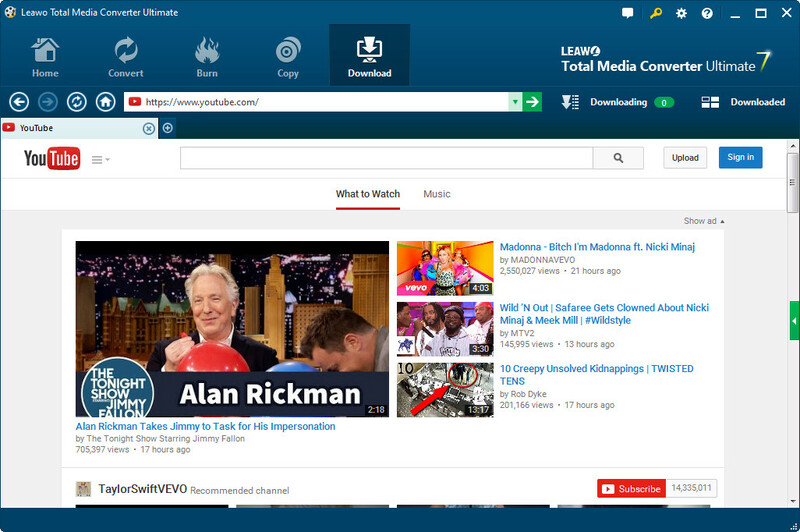 If you search for YouTube video downloader on Google, you’ll find many similar sites. En.savefrom.net is the one I find in the first rank. 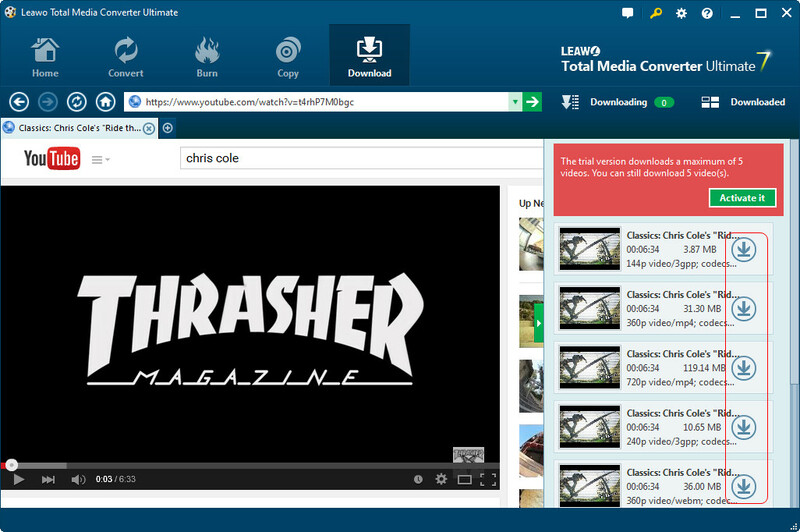 With the URL of the video and a click, the site starts downloading the video. Depending on the size of your video and the Internet connection, you’ll get the video you want in your computer in a while. Of course, there are pieces of third-party YouTube downloader in the market, which helps users to download and convert YouTube videos to iTunes. The following guidance will show you how to accomplish the task. Many people only want the background music of the videos. 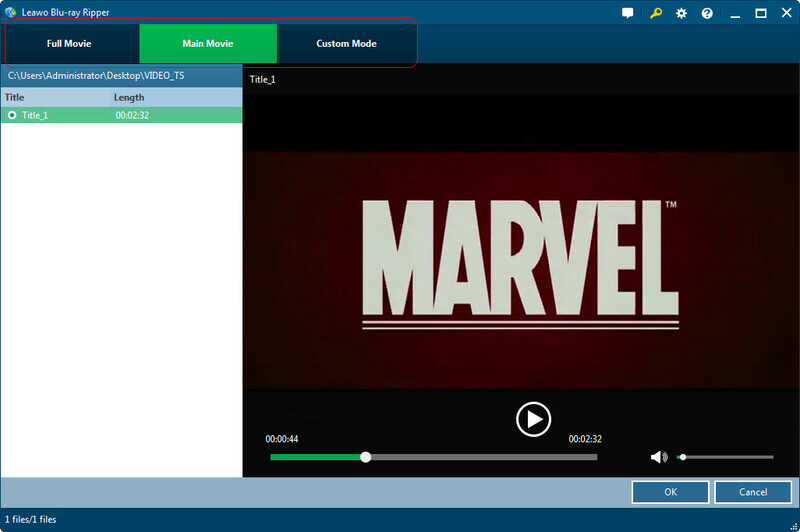 Don’t worry, this program also allows users to convert YouTube videos to audio files like MP3, FLAC files and so on. After downloading the YouTube videos to computer, you can add them to iTunes library. The videos should be MP4 files so that they can be added to the Movie Library. The audios, also should be compatible with iOS devices so that they can be imported to iTunes Music Library. People like watching movies with their iPhone and iPad. 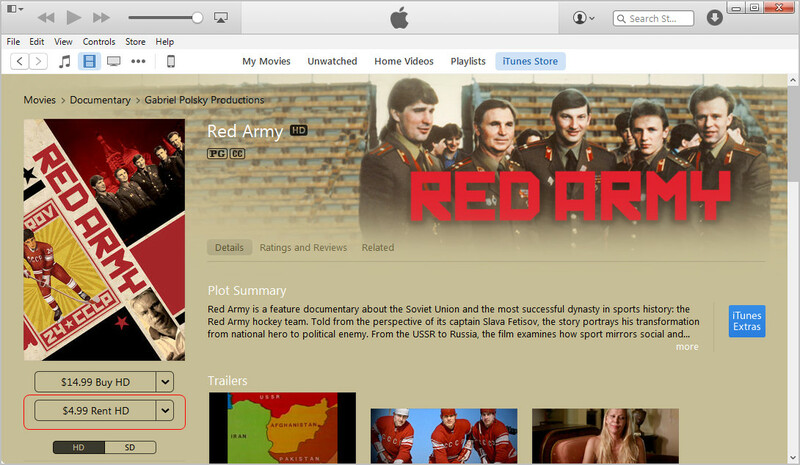 iTunes Store provides users HD movies and allows users to pay for them. Purchasing movies in iTunes Store is not cheap, therefore, people would rather like to rent the movies than buying them. Many users don’t know to rent movies in iTunes store, so the following guidance will introduce the method. After renting movies in iTunes Store, you are able to watch them on your iOS device or PC, but note that the rented movies only stay in one device, and it will disappear when the renting date expires. You should be aware of the formats of the movies after you have downloaded them from the Internet. iTunes, or iOS devices, are only compatible with MP4 files, of course, the videos shot by iPhone camera with the extension .m4v are also supported. If the movies you have downloaded are not compatible with iTunes, you won’t be able to view them on your device. 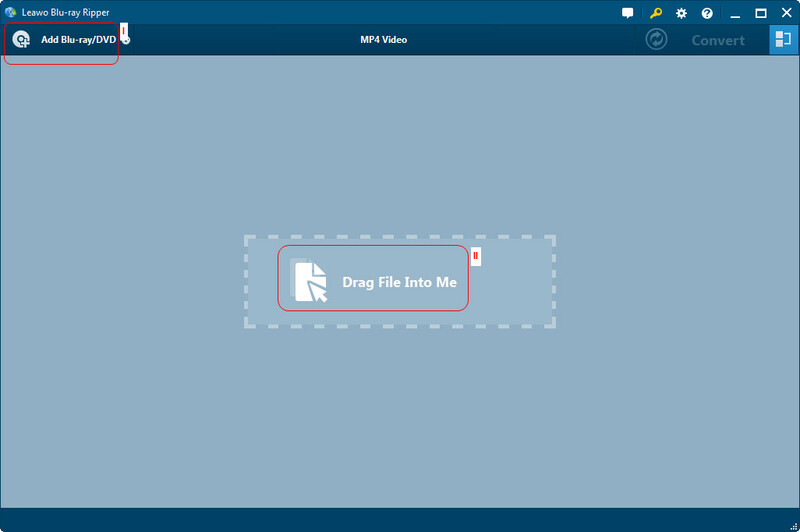 At this moment, you will need to convert the movies to iPhone-compatible MP4 files. The following guidance will show you how to do that. Like it or not, buying movies in iTunes is the most direct way to watch and keep the movies on your devices, or the computer. The purchased movies can be downloaded again without paying if you lose them by accident. 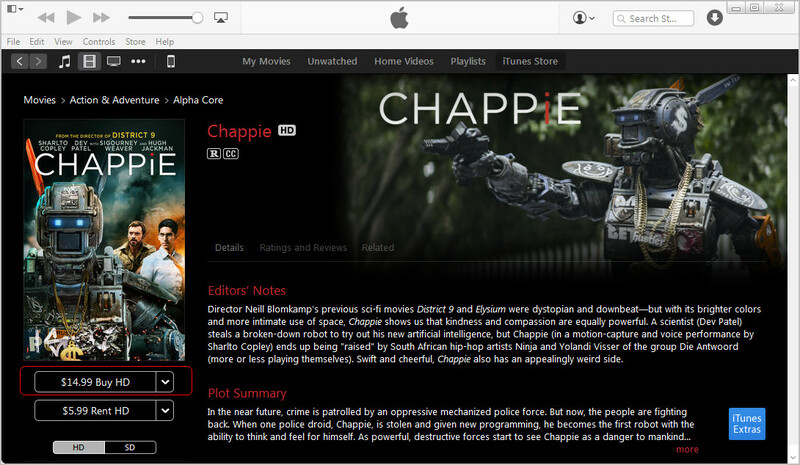 The following guidance will introduce how to buy movies in iTunes Store. When I search free movie download sites on Google, I find multiple sites that offers free download feature for the users. However, I dare not to try downloading one. On one hand, the sites looks crude and simple; on the other hand, my Internet connection is poor. So I give up trying download one for the test. But I find a site named divxcrawler.tv provides direct downloading service for users. This site, good for all, makes it easier for us to enjoy movies offline. Ringtones are most necessary media files on iPhone. 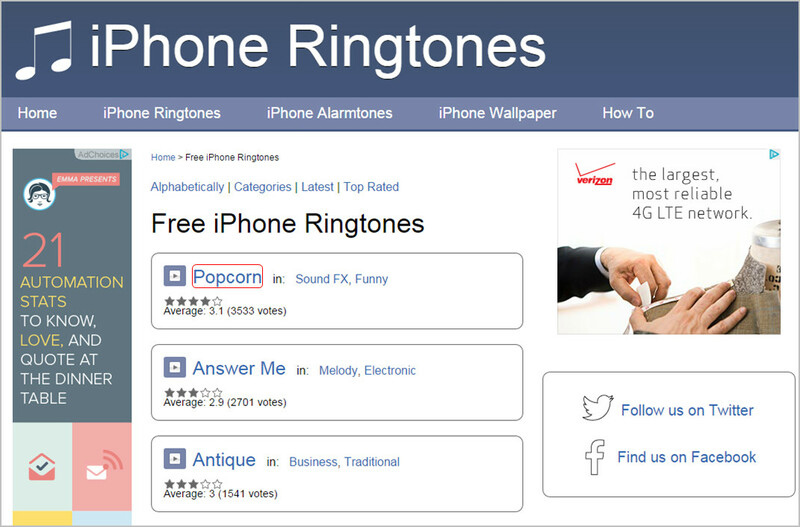 Customized ringtones can remind users to answer calls in noisy places. 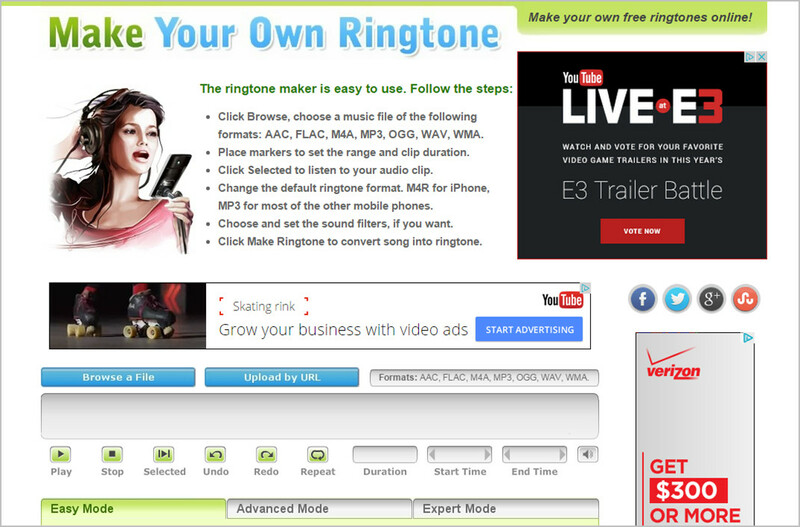 The customizable ringtones can be created in iTunes with simple clicks. The following guidance will introduce the way to do that. 1. 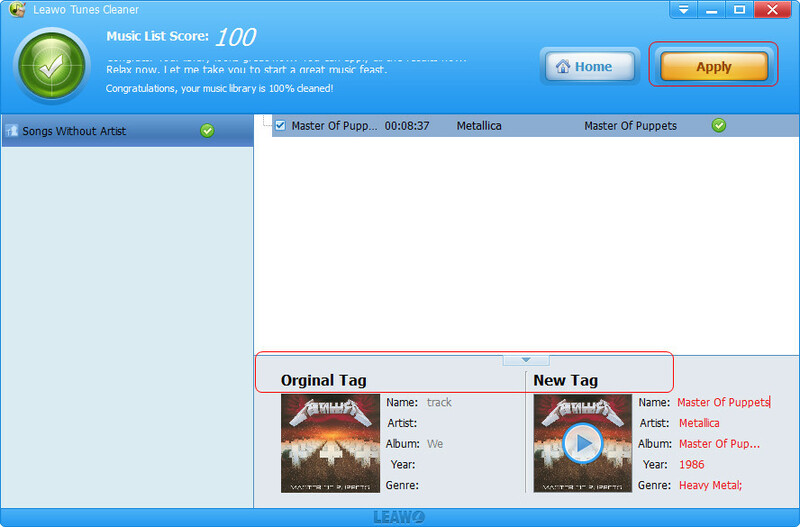 Right-click the song and choose Get Info. 2. Shorten the song into 30 seconds and click OK.
3. 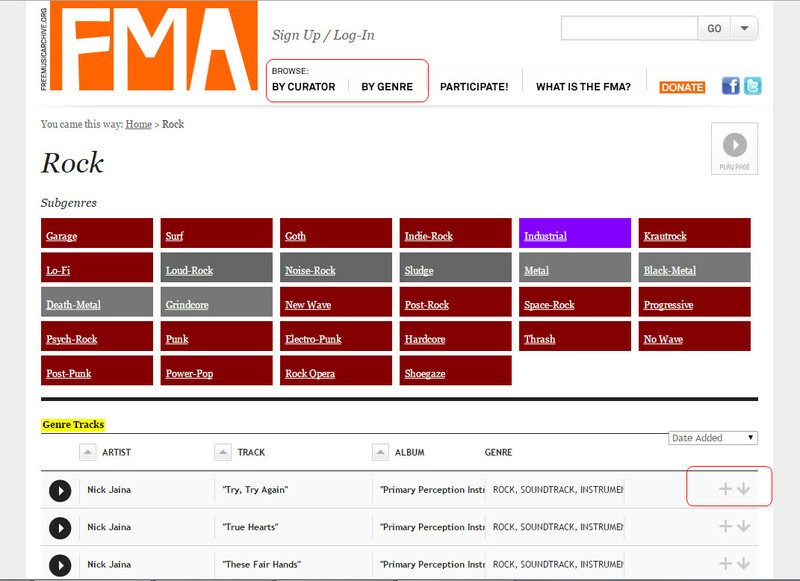 Right-click the song and choose Create AAC version. 4. Right-click the AAC version and choose Show in Windows Explorer. 5. 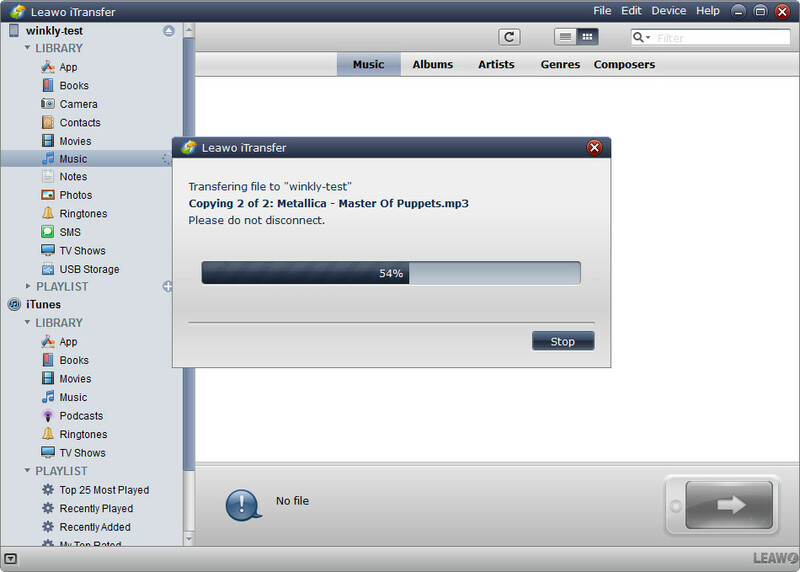 Right-click the song and rename the file extension to .m4r. 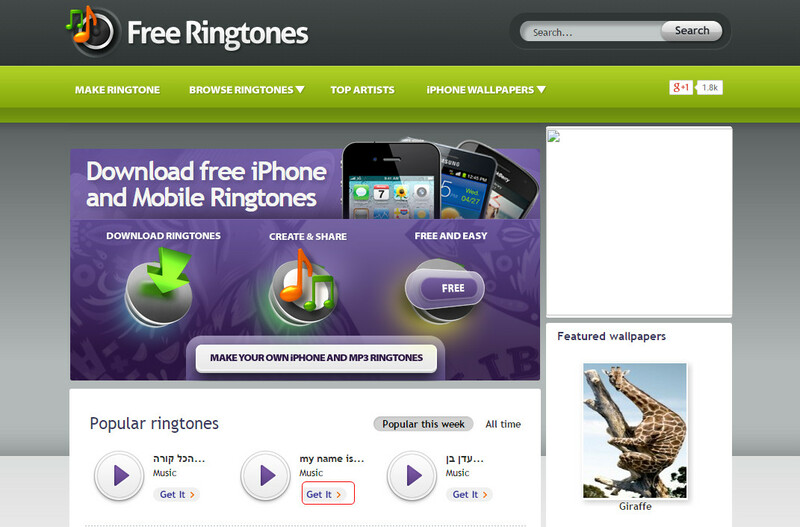 If people don’t want to make ringtones in iTunes, they can find free iPhone ringtones in certain websites without iTunes. The ringtones downloaded should be M4R files so that they can be played on iPhone. 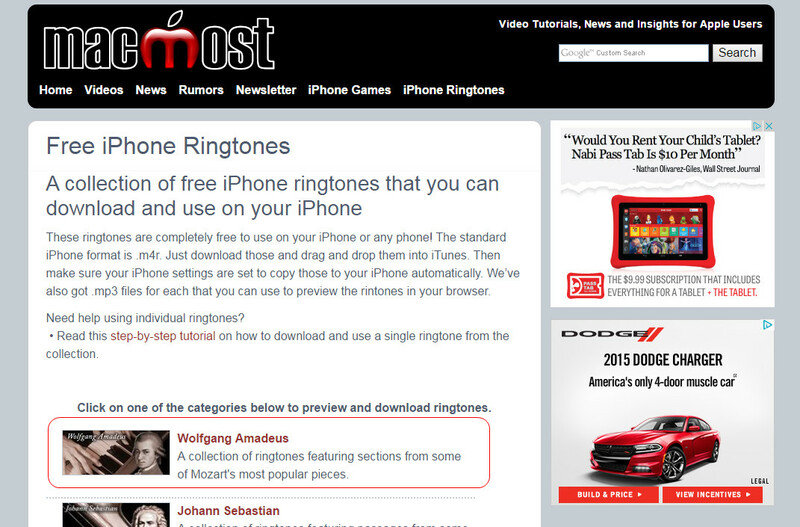 The following guidance will introduce these free iPhone ringtone download sites to all. iTunes enables users to back up iPhone, iPad and iPod data to the library, in fact, your computer, to keep the data safe. An iPhone, iPad or iPod backup in iTunes includes almost all the data available in your device, but it still keeps several kinds of data out, including: Contents from iTunes and App Store, or PDFs downloaded directly to iBooks; Content synced from iTunes, like MP3s or CDs, videos, books and photos; Photos already stored in the Cloud, like My Photo Stream, and iCloud Photo Library; Touch ID settings; Apple Pay Information and settings; Health and Keychain data. Of course, you can’t view the contents in the backup on your computer, but you are able to delete an iTunes backup in iTunes if you think it’s duplicate or takes up too much storage space. The following guidance shows you how to do that. If you want to restore a backup to your device with iTunes, it’s also easy to be done with iTunes. Installing iTunes is easy to be done, you only need to go to iTunes download site to download the latest version of iTunes. 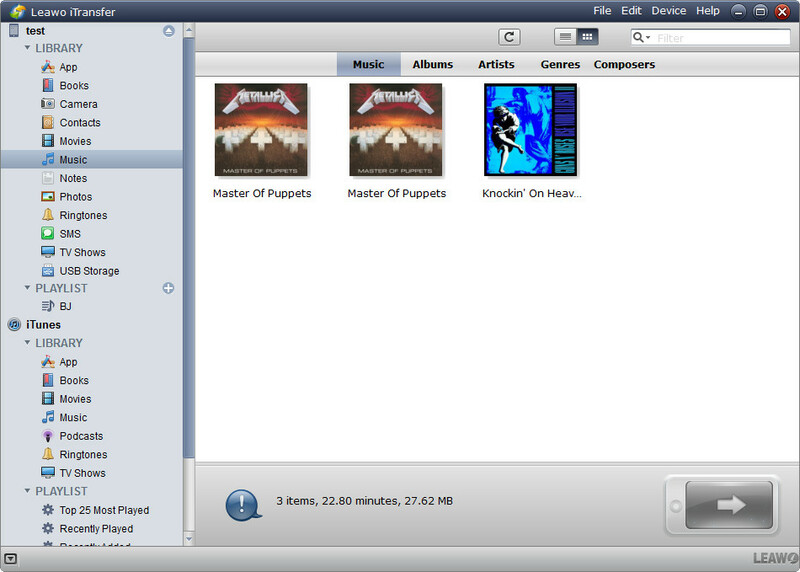 The latest version of iTunes works smoothly with your iPhone, iPad and iPod. 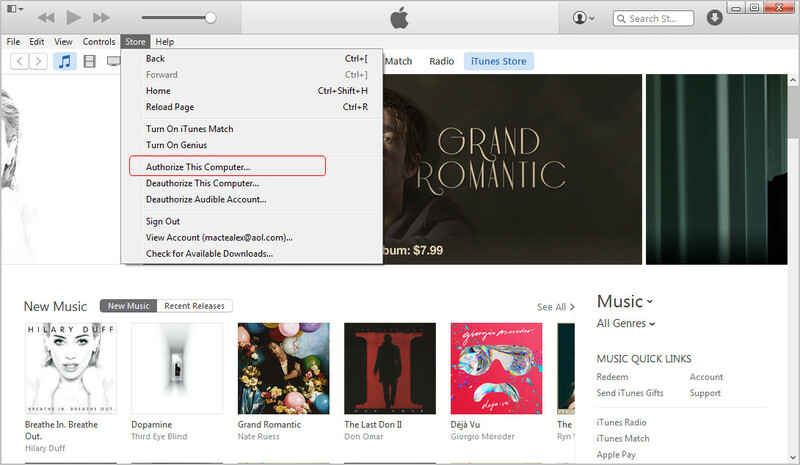 If you don’t have the latest version of iTunes installed on your computer, you may come up with problems when syncing files to your device. 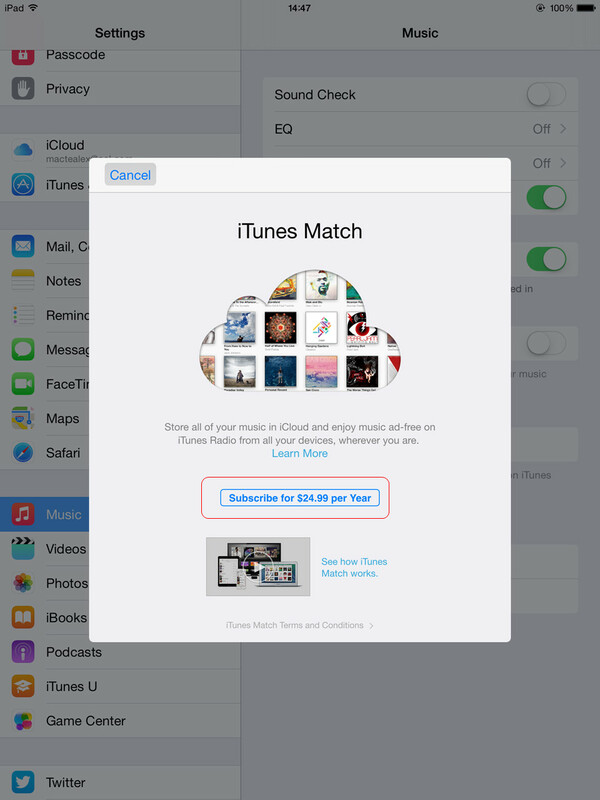 Uninstalling or reinstalling iTunes will be more complicated than installing a new one. Because you’ll need to clean up all the extra plug-ins which were installed along with iTunes, such as QuickTime, Bonjour and so on. With the main computer you use, you can authorize up to 5 computers any time you want. 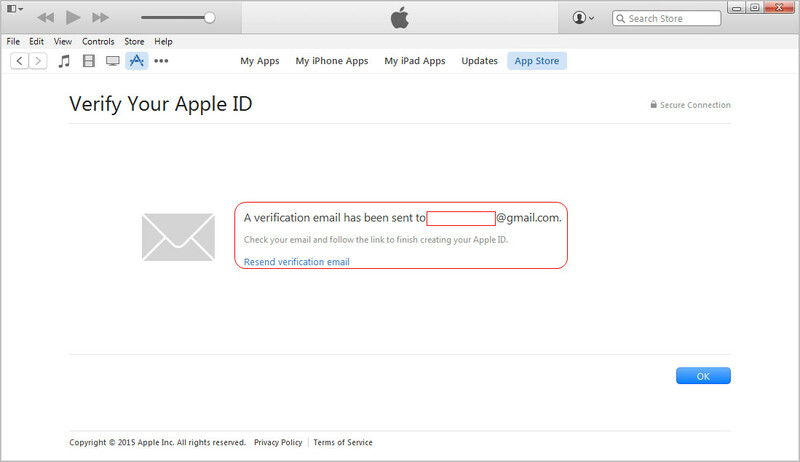 On the authorized computer, iTunes works and allows the data transfers between the application and the devices. If you have switched to a new computer, or changed a new operating system, but forgot to deauthorize the old computer, you’ll lack one quota on your list. But you have a chance to deauthorize all computers with one click in iTunes, and then authorize the computer you need to use again. The following guidance shows you how. 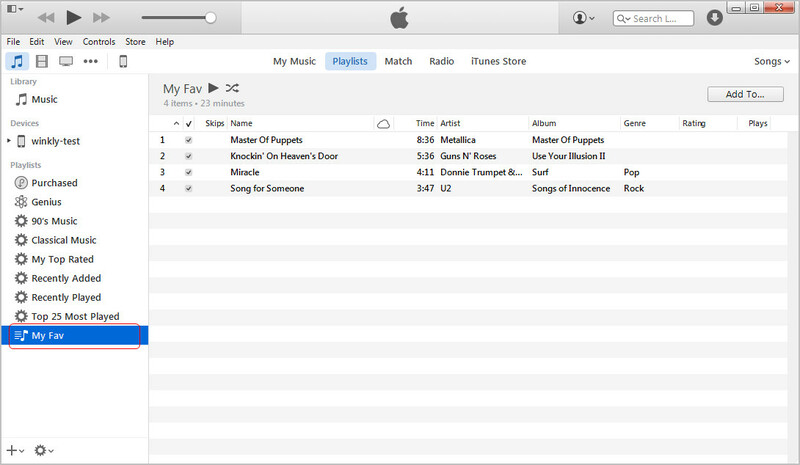 On a Mac computer, go to Finder and choose Go > Home > Music > iTunes > iTunes Media. With the locations of these MP3 files, you are able to have an enjoyment anytime and anywhere you want. Transferring DVD to iTunes library can’t be done directly on your computer, as iTunes doesn’t provide any feature to copy or rip the contents from the DVD disc. The only way to import DVD to iTunes is to take advantage of a DVD ripper program and rip DVD discs to iTunes-compatible MP4 videos. The following guidance will introduce in detail. CD copies can be added to iTunes library and then synced to iPhone, iPad and iPod, but how to burn CDs to iTunes-compatible music audio files may not be an easy issue. 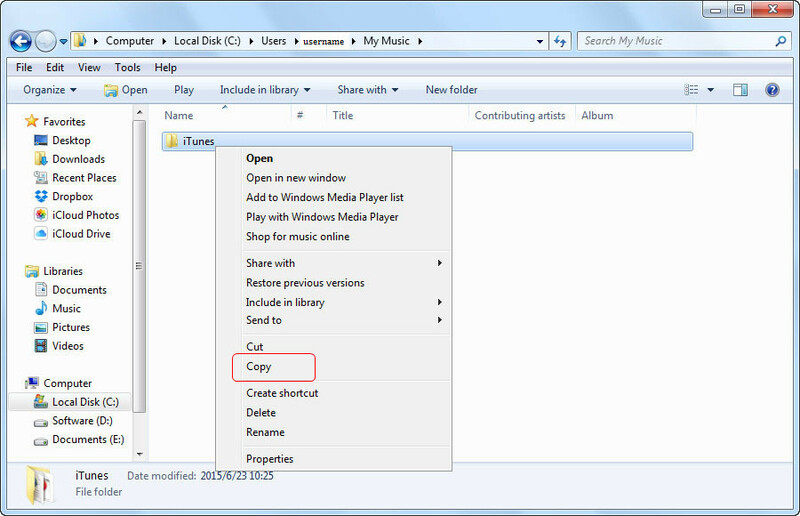 The following guidance will show how to burn a CD on iTunes. The time of burning CD on iTunes depends on the size of your playlist. For the best result of the burning CD, don’t use your computer for other tasks when iTunes is burning the CD. When iTunes finishes burning, you are able to have an enjoyment. Please be aware of the capacity of your disc, if you only have 1GB on the disc, don’t over-burn it. For other problems you may come up with when burning CD on iTunes, you can check out the Apple support document. 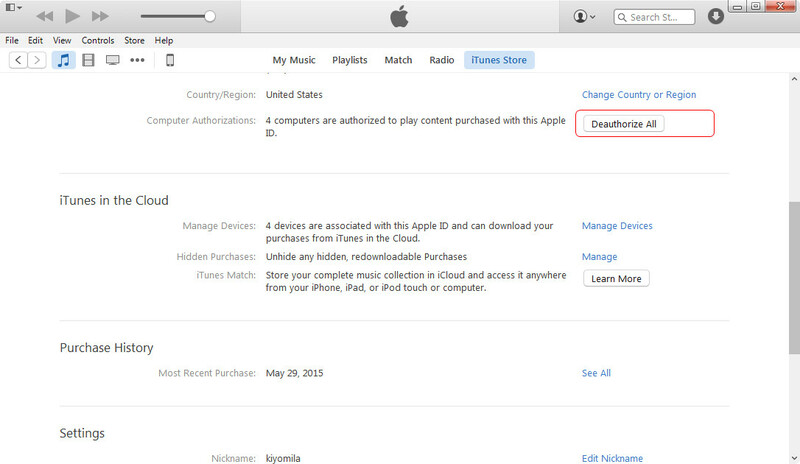 If you want to purchase or download from iTunes Store, you will need an iTunes account, can also be your Apple ID. If you don’t have an Apple ID or iTunes account, you can create one in iTunes. The following guidance will introduce in detail. 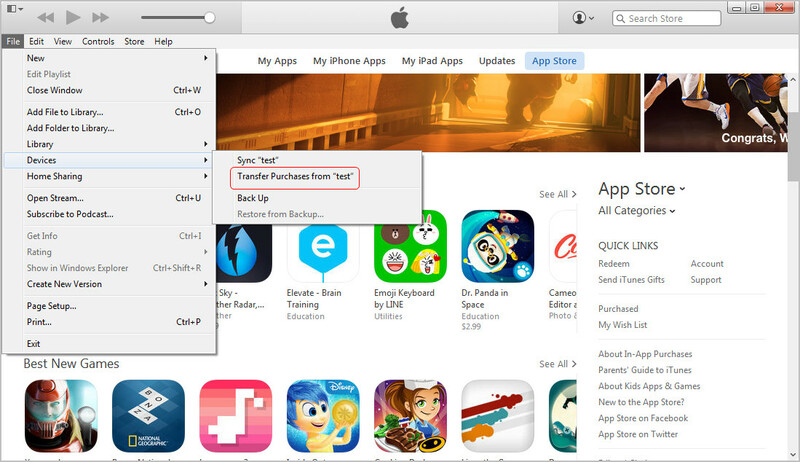 After creating an iTunes account, you are able to purchase and download items in iTunes Store with ease. Many people already have iTunes accounts, and they just want to create new iTunes accounts without credit card information. This can also be done within iTunes. The following guidance will show in detail. 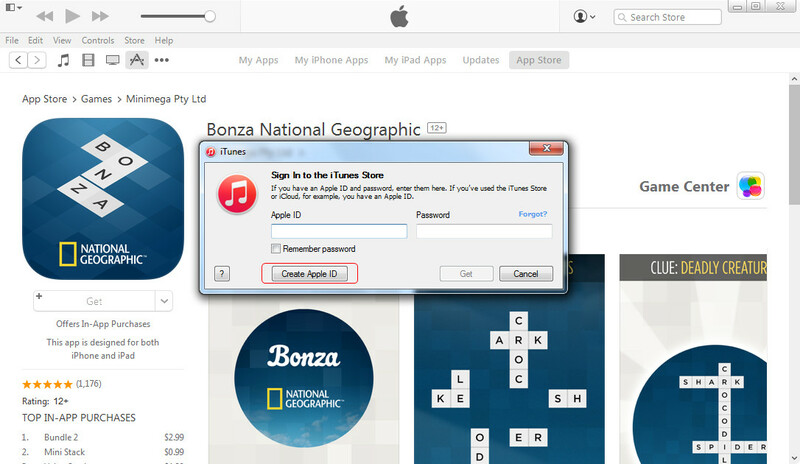 After creating an iTunes account, people can purchase or download items from iTunes Store. 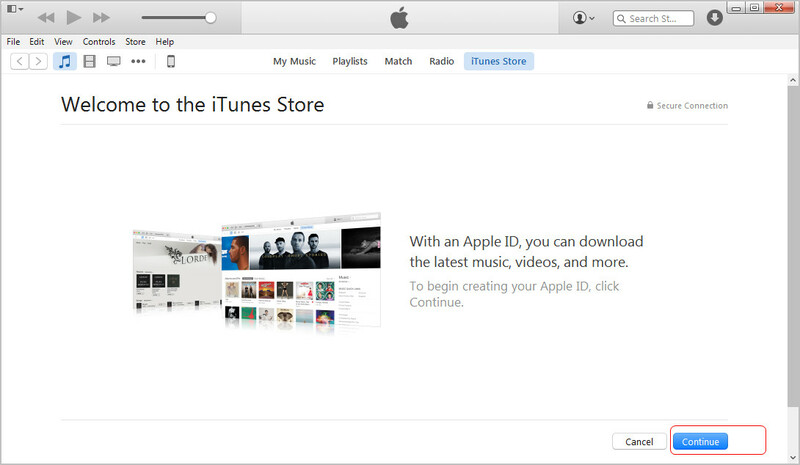 After purchasing items, people can view the purchased items in their iTunes library. 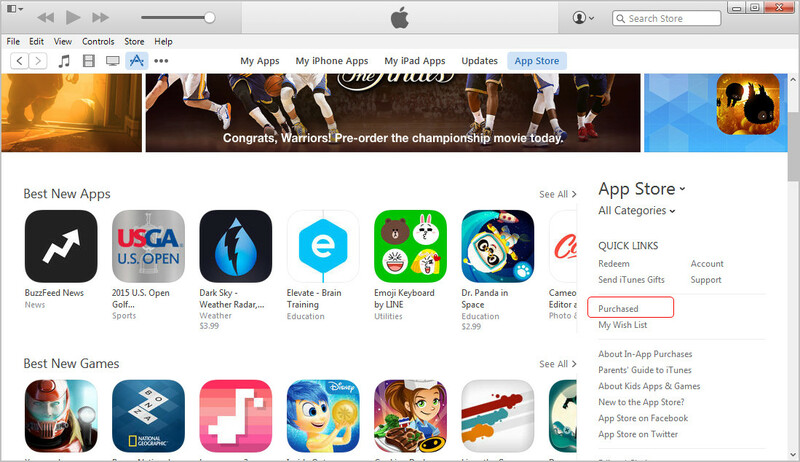 Also, people can check the purchased items in iTunes Store. Even if the purchased items are deleted or lost by accident, users don’t have to worry at all. 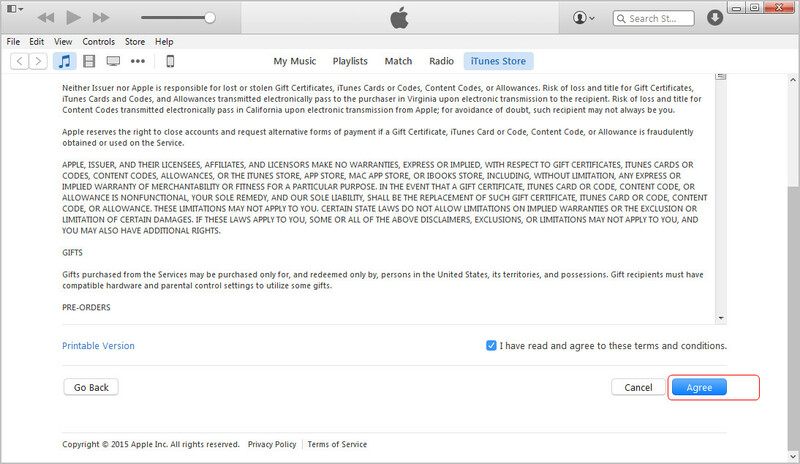 People only need to find the purchased items again in iTunes Store and download them again without any extra payment. 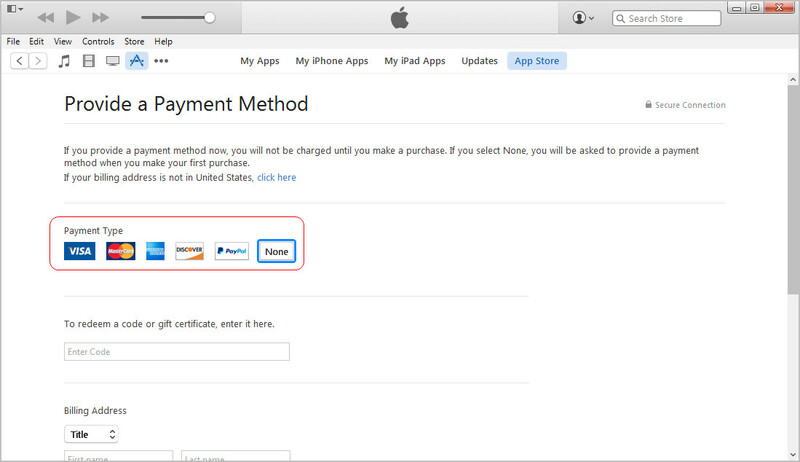 If the users purchase items on their devices they can transfer purchases to iTunes library for a backup. People can move iTunes library to new computer or another computer if they want, and they don’t have to worry about the data loss on iTunes library. But before moving iTunes library, you may need to make an iTunes backup on your computer to keep the data safe. After that, you can follow the guidance below to move iTunes to new computer. 1. 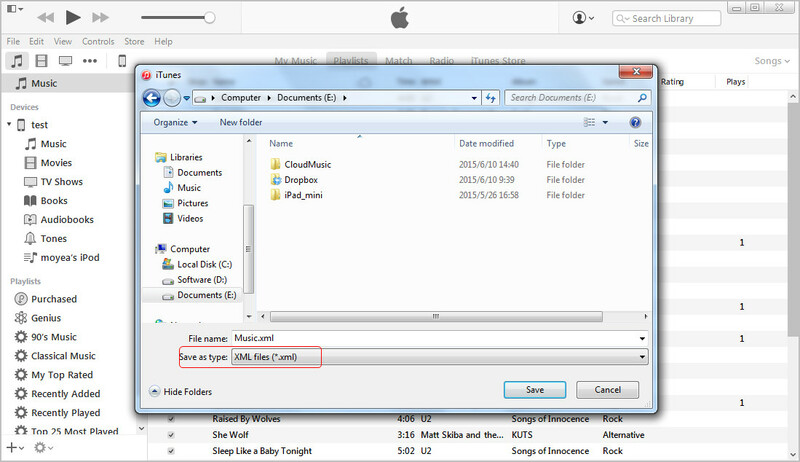 Locate your iTunes folder, and copy it to your hard drive. 2. 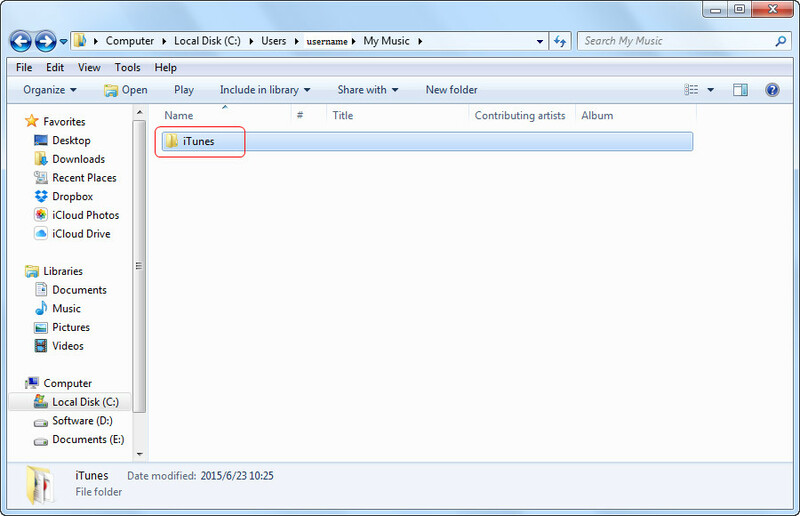 Move iTunes folder to the same location on your new computer. 3. Open iTunes (latest version) and you’ll get all the files on your new computer. 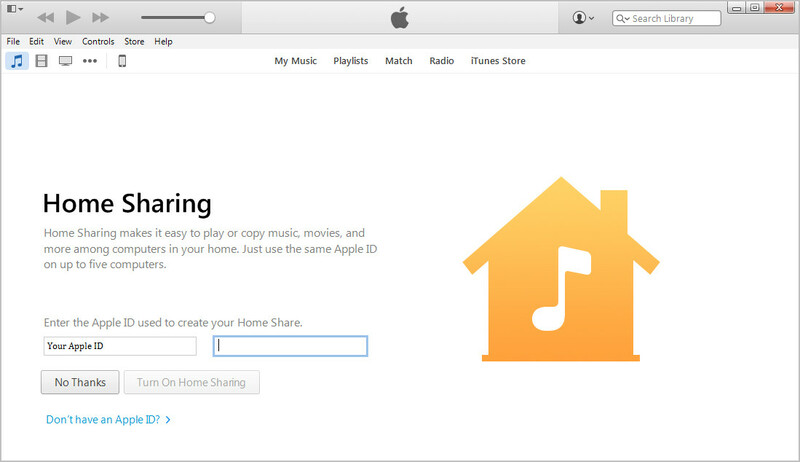 People can use the Home Sharing feature in iTunes to share the iTunes media libraries. People can turn on Home Sharing in iTunes on their computers, and they are able to authorize up to 5 computers for family sharing, all the computers enabled home sharing can view music, videos and more in the iTunes media library. With this home sharing feature, people can share their favorite albums and movies with family members. 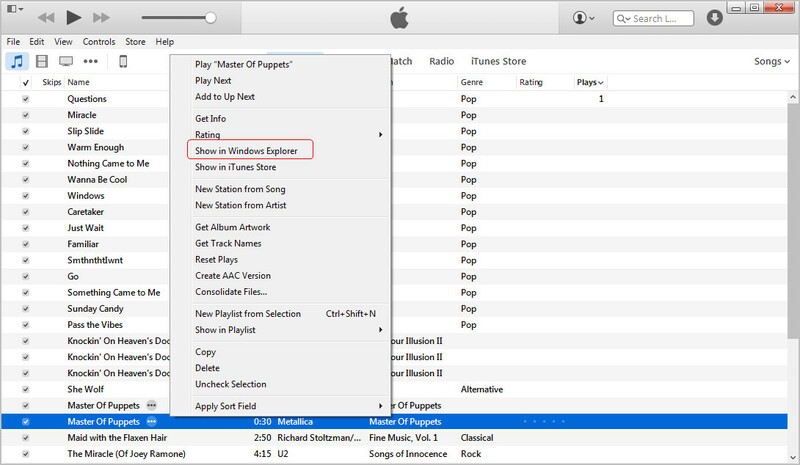 People can export iTunes playlist to their computer, and import the playlist into their iTunes library again in case that the playlist is deleted. 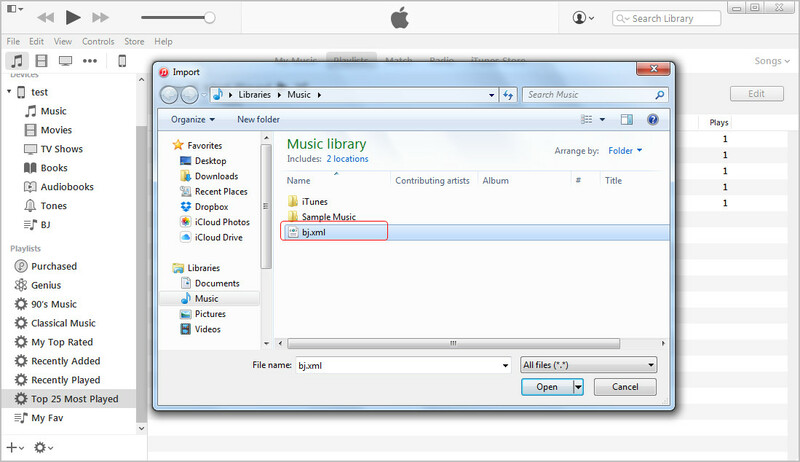 The following guidance will introduce how to export iTunes playlist to computer. When you want to import the playlist, you only need to select the XML file you have exported from iTunes library, and then imported it into iTunes. 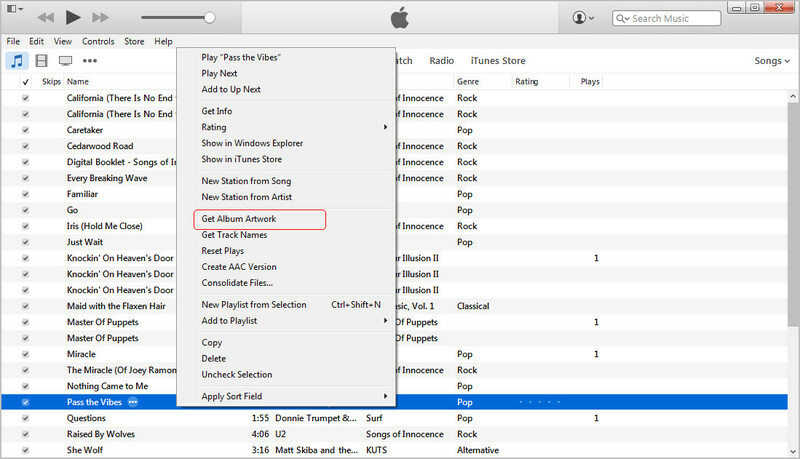 Transferring playlists from iPhone, iPad or iPod to iTunes library can’t be done directly. 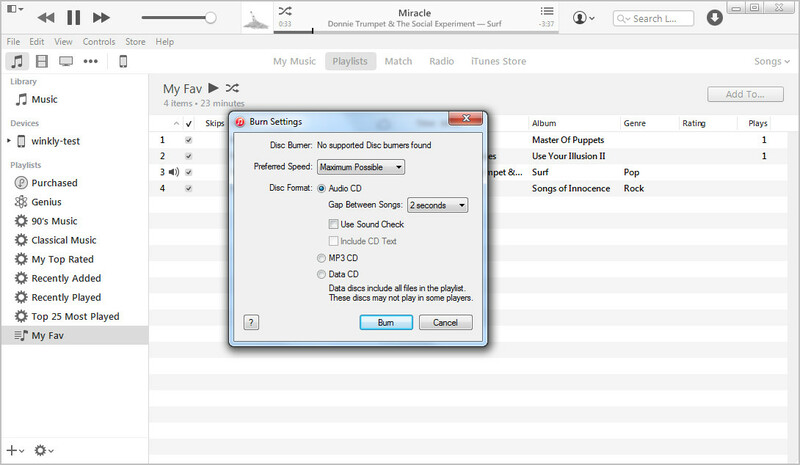 You’ll need to transfer the playlist from the device to computer, and then import the playlist to iTunes library. The following guidance will introduce in detail. 1. Right-click the playlist you want to transfer in the left sidebar under device and choose Export. 2. 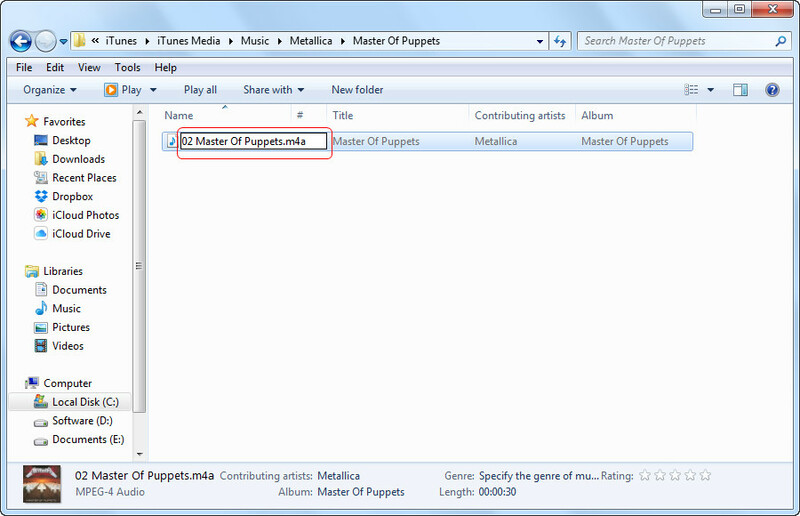 Export the playlist to computer in a XML file. 3. 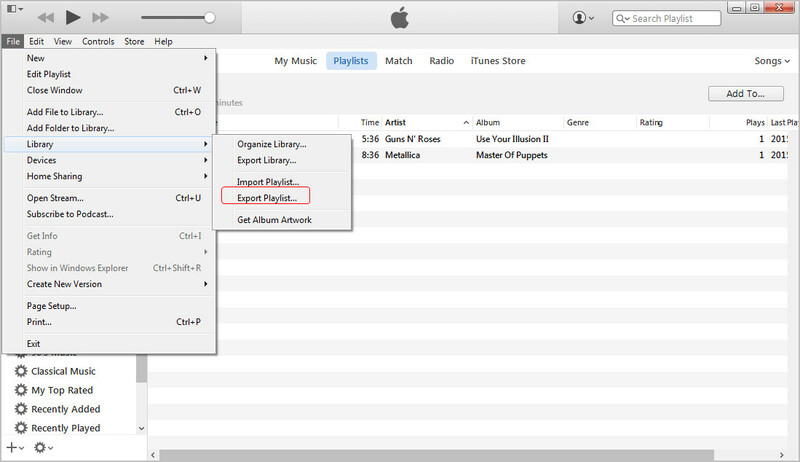 Click File > Library > Import Playlist at the upper left corner of iTunes. iTunes will import the playlist into iTunes library automatically. If people want to transfer playlist from iTunes to iPhone, iPad or iPod, they only need to sync their device with the application. The following guidance will introduce in detail. Choose Music under your device in the left. Check Sync Music in the right part. 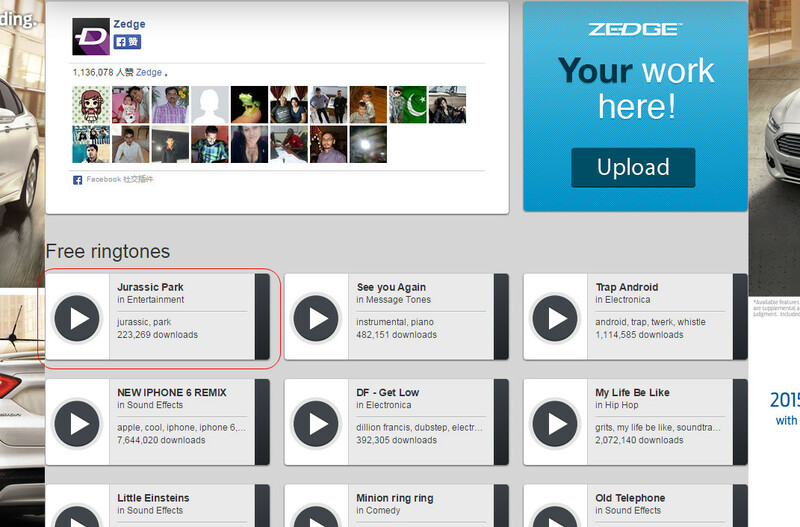 Choose Selected playlists, artists, albums, and genres. Select the playlist you want to sync. Click Sync at the right bottom. 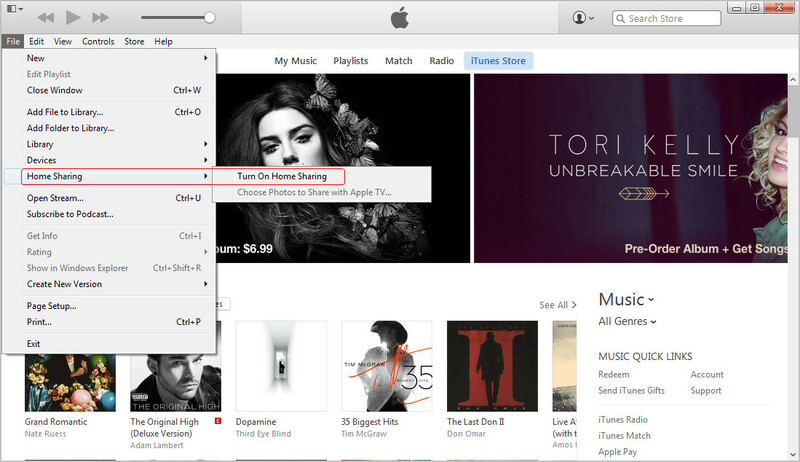 iTunes will start syncing playlist from iTunes to iPhone automatically. Although iTunes Radio didn’t get popular among the users, it has certain listeners. 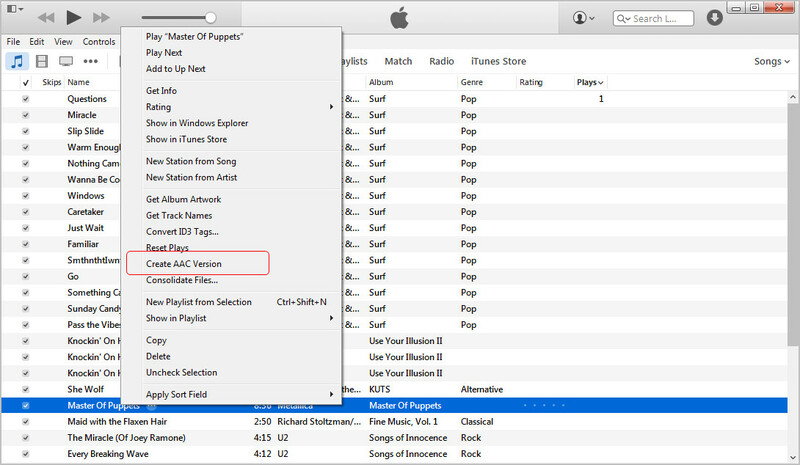 The stations in iTunes Radio can be selected in accordance with your preferences. 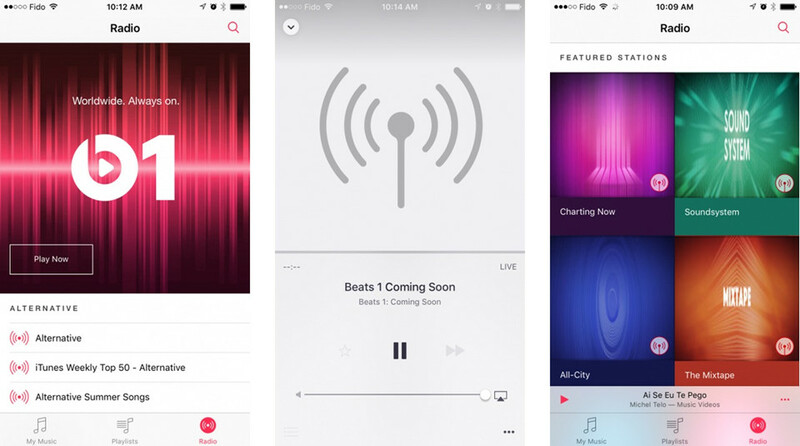 On WWDC 2015, Apple unveiled Beats 1 music streaming service, which will appear as a station in Radio app in the Music app on your device. The app is just like Spotify, Rdio and other streaming music services you know, and it asks for $14.99 for a monthly use. 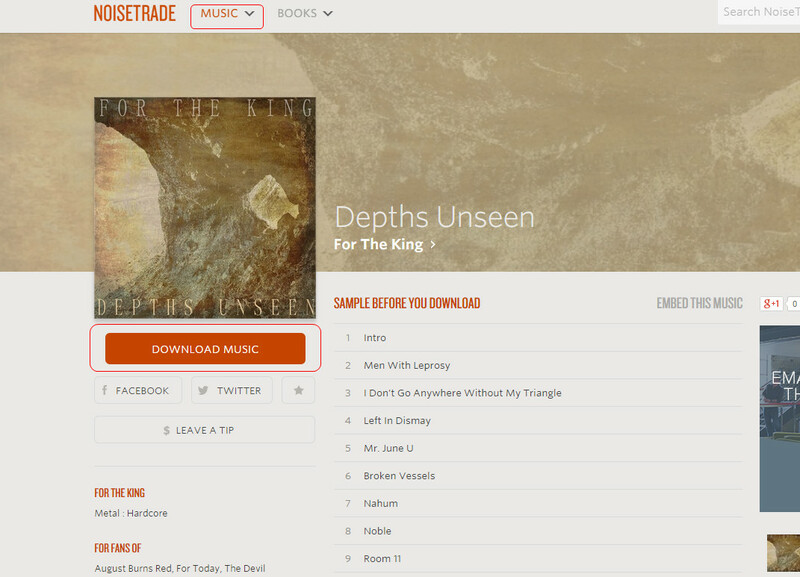 If you are a music fan, this music streaming service may be a good choice. The station is now available in iOS 9 Beta version. Ever since iTunes was introduces in 2001, it has been the only way for users to sync media files to their iPhone, iPad and iPod. 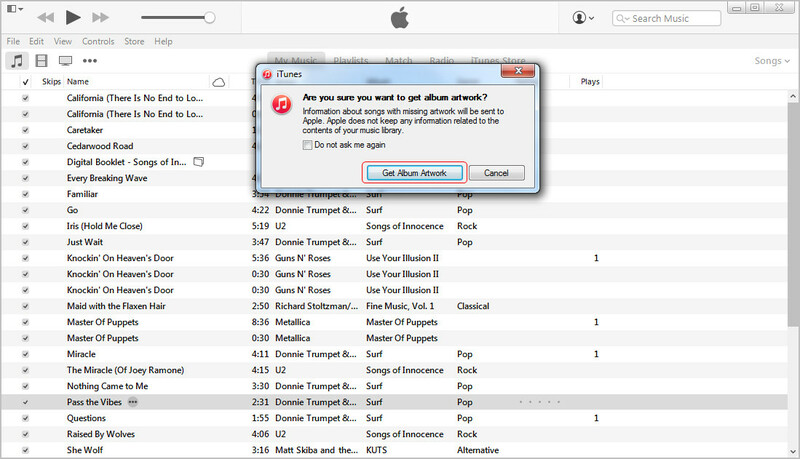 Although iTunes provides many helpful features, it is not that user-friendly. Therefore, many people want to find alternatives to iTunes to make their data transfers easier. 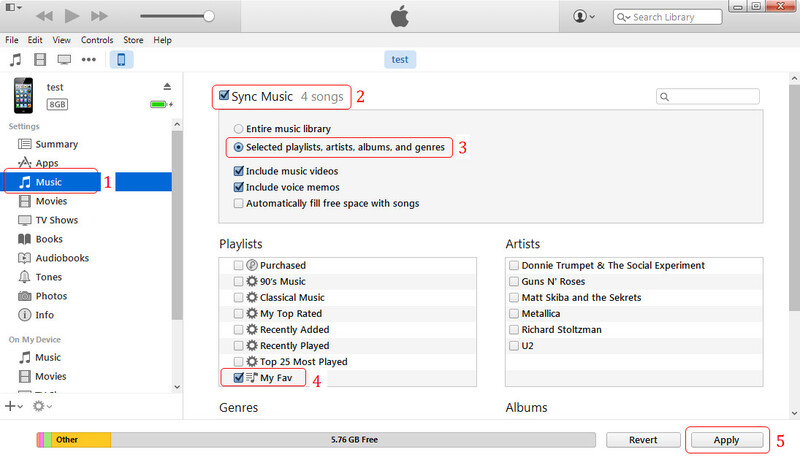 The following guidance will introduce 4 best iTunes alternatives to all. Transfer apps, music and more among iOS devices, iTunes and PCs. 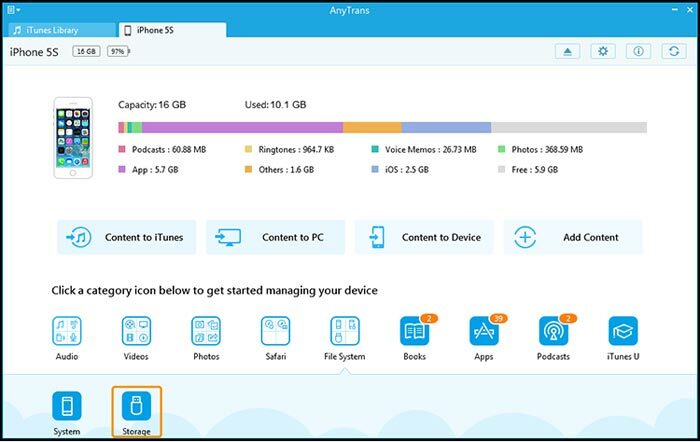 Backup iPhone, iPad and iPod files with ease. Doesn’t support to add missing music information. CopyTrans Manager Free It’s easy to transfer. Categories like Artist, Album etc. It’s free and doesn’t need you to use iTunes. Doesn’t detect music automatically when the device is plugged in. Doesn’t support to backup iOS devices to computer. 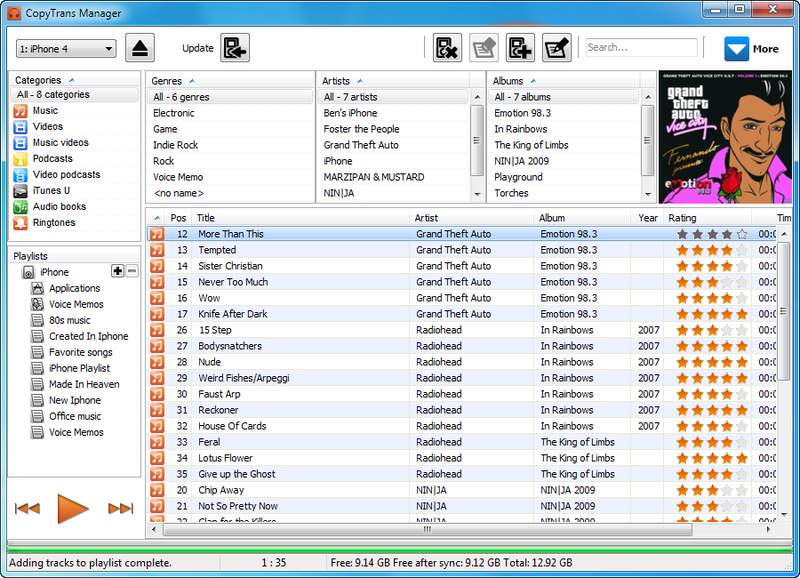 MediaMonkey $24.95 Manage 100,000+ music and video files without bogging down. 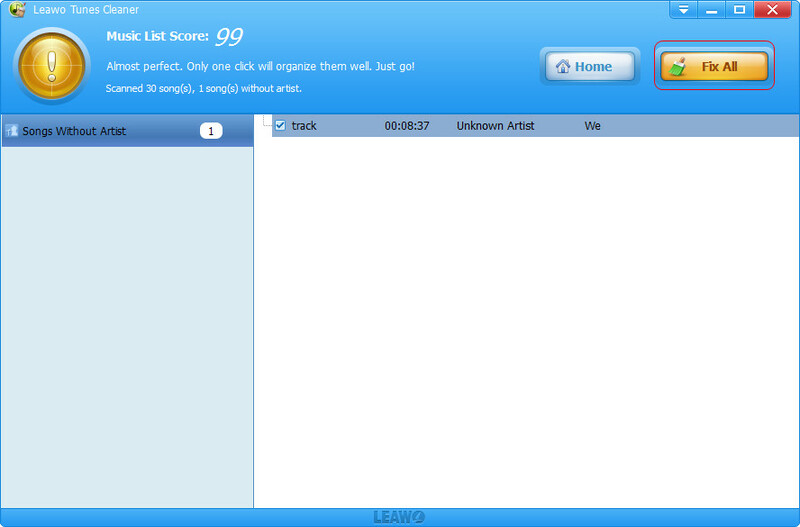 Learns you listening habits and builds a playlist for you. Can trace missing track information. It has a complicated interface that is meant for gurus. AnyTrans $39.99 Transfer the files from one iDevice to other iDevice. Restore data even from the iTunes backup. Convert the media file formats according to need. The price is too high for most users.